Pistol Pete is ready to help you figure out what LLP is exactly. We know some of you are on the lookout for a new place to live. Maybe you’ve gotten tired of living alone, or you just need a change of scenery! We understand. We all personalize pretty much everything we do, whether it’s our phones, playlists, looks, you name it. 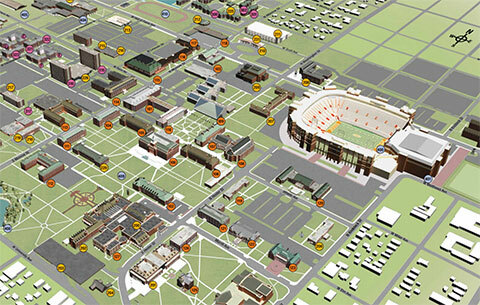 Why not personalize where you live on campus, too? They’re called Living Learning Programs … or LLPs. All LLPs require an application. Once you’re accepted to OSU, you can apply through the admissions portal. What program would fit you best? There are 13 unique programs to choose from, ranging from your college major to outdoor activities. Each LLP has its own living space, so you’ll never miss a minute of fun. This LLP is for students in CASNR wanting to make the most of their freshman year experience. Get out there and make it happen! This LLP is for those students with a declared major in EHA, which makes for quite a diverse group of students! Any incoming freshmen with a declared major in CEAT...this one’s for you. Interested in diversity and building tomorrow’s leaders? This one’s for incoming College of Engineering, Architecture and Technology freshmen. Synergy with Institutional Diversity located nearby in Scott Hall. Named for the first woman to receive a degree in engineering from Oklahoma A&M College, Maude Spears, this LLP is for freshmen women in CEAT…aka one big group of #BossLadies. For students accepted into the Honors College. BONUS: The Honors therapy dogs (Darwin and Huxley) visit regularly. This is for any U.S. and international students who want to share a supportive and welcoming community. Step outside your comfort zone and make new friends, people! For students in the School of Media & Strategic Communications (SMSC). If you’re interested in journalism, broadcasting, public relations, social media or anything in between..this is the place for you. For freshmen first-generation college students. Get settled into college without feeling like the only newbie in town. Natural born leaders…this is your chance! This LLP is for first and second year students passionate about contributing to their community. Earn academic credit for OSU LEAD activities. For students in Spears Business. Great place to look over each others business plans. If you want to spend your first year on campus Preparing, Empowering, Transforming and Engaging for success at OSU and the College of Human Sciences - this is the place for you! Looking for a more laid back community? Any interested student looking for new adventures can join! Think rock climbing, biking and challenge courses. Woah, sounds a little overwhelming at first, right? Like we said, there are plenty of options. Don’t worry, though. Each program is designed to help you make new friends and meet people to get you through this thing called #adulting. And who doesn’t want a little help from time to time? You’ll gain new experiences outside of the classroom through different workshops and activities with students in your LLP. And wouldn’t it be nice to come home to to your #CowboyFamily members at the end of the day? We think so! There’s also a ton of helpful information for students currently living in one of the programs. Here’s the link again just in case you missed it. It’s easy to apply, so don’t wait to join a 2018-2019 LLP!